Nolte was born February 8, 1941, in Omaha, Nebraska. His father, Franklin Arthur Nolte (1904–1978), was a farmer's son who ran away from home, nearly dropped out of high school and was a three-time letter winner in football at Iowa State University (1929–1931). His mother, Helen (née King; 1914–2000), was a department store buyer, and then became an expert antique dealer, co-owning a prestigious and successful antique shop despite having no formal education in the area. His ancestry includes German, English, Scots-Irish, Scottish and Swiss-German. Nolte's maternal grandfather, Matthew Leander King, invented the hollow-tile silo and was prominent in early aviation. His maternal grandmother ran the student union at Iowa State University. He has an older sister, Nancy, who was an executive for the Red Cross. Nolte attended Kingsley Elementary School in Waterloo, Iowa. He studied at Westside High School in Omaha, where he was the kicker on the football team. He also attended Benson High School, but was expelled for hiding beer before practice and being caught drinking it during a practice session. Following his high school graduation in 1959, he attended Pasadena City College in Southern California, Arizona State University in Tempe (on a football scholarship), Eastern Arizona College in Thatcher and Phoenix College in Phoenix. At Eastern Arizona, Nolte lettered in football as a tight end and defensive end, in basketball as a forward, and as a catcher on the baseball team. Poor grades eventually ended his studies, at which point his career in theatre began in earnest. While in college, Nolte worked for the Falstaff Brewery in Omaha. Nolte was a model in the late 1960s and early 1970s. In a national magazine advertisement in 1972, he appeared in jeans and an open jean shirt for Clairol's "Summer Blonde" hair lightener sitting on a log next to a blonde Chris O'Connor; and they appeared on the packaging. In 1992, Nolte was named the Sexiest Man Alive by People magazine. Nolte first starred in the television miniseries Rich Man, Poor Man, based on Irwin Shaw's 1970 best-selling novel. Later he appeared in over forty films, playing a wide variety of characters. Diversity of character, trademark athleticism, and gravelly voice are signatures of his career. In 1973, he guest-starred in the Griff episode, "Who Framed Billy the Kid? ", as Billy Randolph, a football player accused of murder. He co-starred with Andy Griffith in Winter Kill, a television film made as the pilot of a possible television series, and another one, Adams of Eagle Lake, but neither was picked up. Nolte starred in The Deep (1977), Who'll Stop the Rain (1978), North Dallas Forty (1979) which is based on Peter Gent's novel, and starred in 48 Hrs. (1982) with Eddie Murphy. During the 1980s, he starred in Under Fire (1983), Down and Out in Beverly Hills (1986), Extreme Prejudice (1987) and New York Stories (1989). Nolte starred with Katharine Hepburn in her last leading film role in Grace Quigley (1985). Nolte and Murphy starred again in the sequel Another 48 Hrs.. In 1991, Nolte starred in The Prince of Tides and was nominated for the Academy Award for Best Actor. Later, he starred in Martin Scorsese's remake of Cape Fear with Robert De Niro and Jessica Lange. Nolte also starred in Lorenzo's Oil (1992), Jefferson in Paris (1995), Mulholland Falls (1996) and Afterglow (1997). He received his second Academy Award nomination the same year for Affliction. Nolte starred with Sean Penn in three films, including Terrence Malick's war epic The Thin Red Line, U Turn and Gangster Squad. Nolte continued to work in the 2000s, taking smaller parts in Clean and Hotel Rwanda, both performances receiving positive reviews. He also played supporting roles in the 2006 drama Peaceful Warrior and the 2008 comedy Tropic Thunder. In 2011, Nolte played recovering alcoholic Paddy Conlon in Warrior, and was nominated for Academy Award for Best Supporting Actor. Beginning in 2011, Nolte starred with Dustin Hoffman in the HBO series Luck. At the start of production of the second season, however, HBO ended the series after the death of three horses during filming. In 1965, Nolte was arrested for selling counterfeit documents and was given a 45-year prison sentence and a $75,000 fine; however, the sentence was suspended. This felony conviction did, however, erase his military-joining eligibility – at the time, he felt obligated to serve in the Vietnam War. As a result, Nolte says he felt incomplete as a young man for not going to Vietnam. On September 11, 2002, Nolte was arrested on suspicion of drunk driving in Malibu, California. Three days later, he checked himself into Silver Hill Hospital in Connecticut for counseling. Tests later showed that he was under the influence of GHB. Nolte responded that he has "been taking it for four years and I've never been raped." On December 12, 2002, he pleaded no contest to charges of driving under the influence. He was given three years' probation, with orders to undergo alcohol and drug counseling with random testing required. Nolte has been in relationships with Debra Winger and Vicki Lewis. He has two children, Brawley (b. 1986) (who has had a few acting roles himself) and Sophie (b. 2007) with his wife Clytie Lane. Nolte received a star on the Hollywood Walk of Fame on Monday, November 20, 2017. ^ a b c d "Nick Nolte". ^ "Iowa State Records" (PDF). Archived from the original (PDF) on October 20, 2013. ^ To the brink and back | Film | The Guardian. Film.guardian.co.uk. Retrieved on December 21, 2010. ^ Goldberg, Lesley (March 14, 2012). "HBO Ends 'Luck' After Horse Deaths". Retrieved August 8, 2017. ^ Cowan, Lee (October 9, 2016). "Nick Nolte: "Reality never runs smooth"". CBS News. Retrieved August 9, 2017. ^ "Busted: Stories Behind 30 Classic Celebrity Mug Shots". www.msn.com. ^ Nick Nolte, Q&A with Nick Nolte. Futuremovies.co.uk (March 10, 2008). Retrieved on December 21, 2010. ^ Weekend Weirdness: An Intimate Doc on Nick Nolte; Who Killed Teddy Bear? in NYC; The House of the Devil on VHS | /Film Archived August 26, 2010, at the Wayback Machine. Slashfilm.com (January 24, 2010). Retrieved on December 21, 2010. ^ Nick Nolte Charged With DUI. CBS News (October 24, 2002). Retrieved on December 21, 2010. ^ Voll, Daniel (January 29, 2007). "Nick Nolte Has a Drawer Full of Tourniquets". Esquire. Retrieved June 6, 2015. ^ "Nick Nolte: Life in pictures". Los Angeles Times. Retrieved March 1, 2015. ^ McNary, Dave (March 20, 2018). "Nick Nolte, Matt Dillon to Star in Drama 'Honey in the Head'". Variety. Retrieved March 21, 2018. ^ "Nick Nolte - Hollywood Walk of Fame". www.walkoffame.com. Retrieved October 7, 2018. ^ Variety (February 9, 2017). "Toshiro Mifune - Hollywood Walk of Fame Ceremony". Retrieved October 7, 2018 – via YouTube. 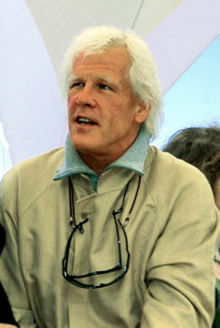 Wikimedia Commons has media related to Nick Nolte.